If you look over the various wedding playlists I post online, you’ll notice that the dancing portion of the evening makes up only 1/3 of the songs played at each reception. Cocktail hour and dinner is valuable time where you can include fantastic music which may not be appropriate for later in the night. Sherri and Michael made use of the entire evening and created the perfect soundtrack for their big day at the Pittsburgh Marriott North. It was great fun watching the newlyweds get excited during dinner when they heard their favorite tunes. 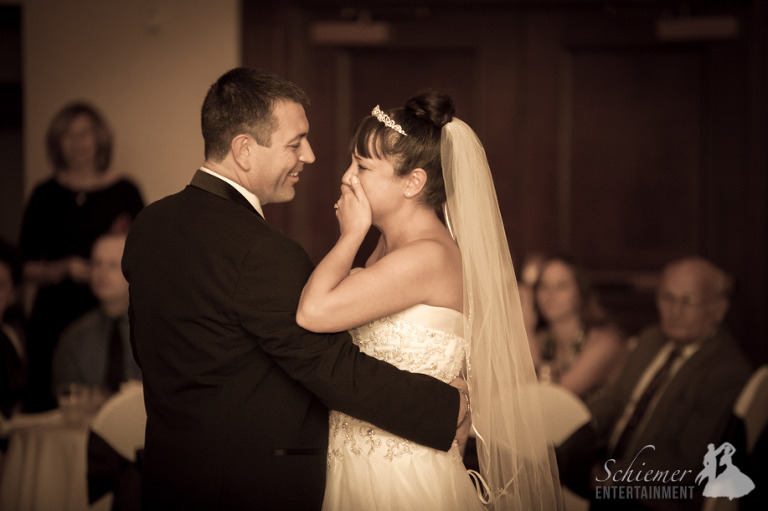 Sherri told me of many songs that she had always dreamed of including on her wedding day. 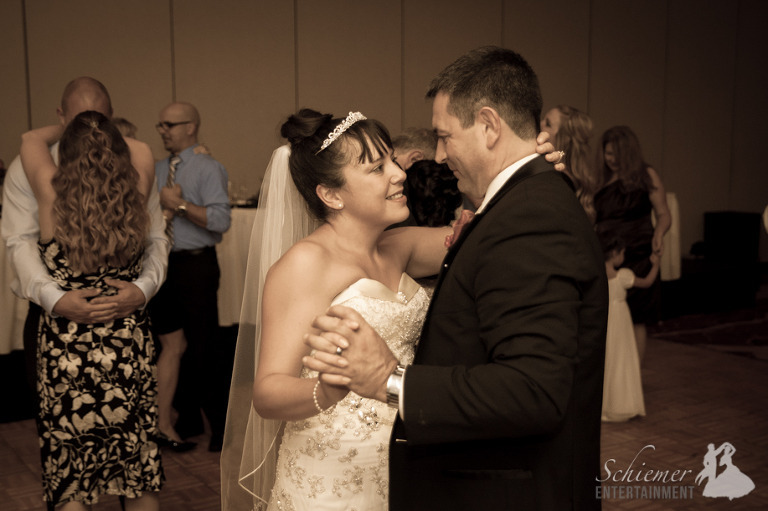 As she had her first dance to Etta James “At Last” it was clear how music helped make many of her dreams come true. Sherri and Michael made fantastic music choices and suggestions which were a big hit with their friends and family. The entire evening flowed perfectly and ended with many guests dragging the newlyweds off to the after party. The new Harpers now get to reflect on their amazing day before heading off to their romantic Hawaiian honeymoon. Everyone talks about how quickly your wedding day will pass by. With so many things to do and guests to visit with, most couples never want to see their day end without having time to truly get to enjoy every moment. Heather Kriberney and Brian Miller had a fantastic reception at the Marriott Pittsburgh North in Cranberry, PA, that they made even better by giving everyone a little extra time to celebrate. I knew we were ready for a great time when I saw that the newlyweds provided dancing sandals for their friends and families. Heather and Brian asked me to choose entrance music for each member of their bridal party, which featured quite a few couples. 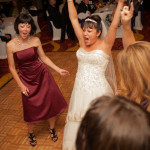 They wanted the songs to get newer and eventually lead up to the newlyweds’ entrance of Rihanna’s “We Found Love”. See what songs I came up with along with all the other great music that was included in this wonderful evening. 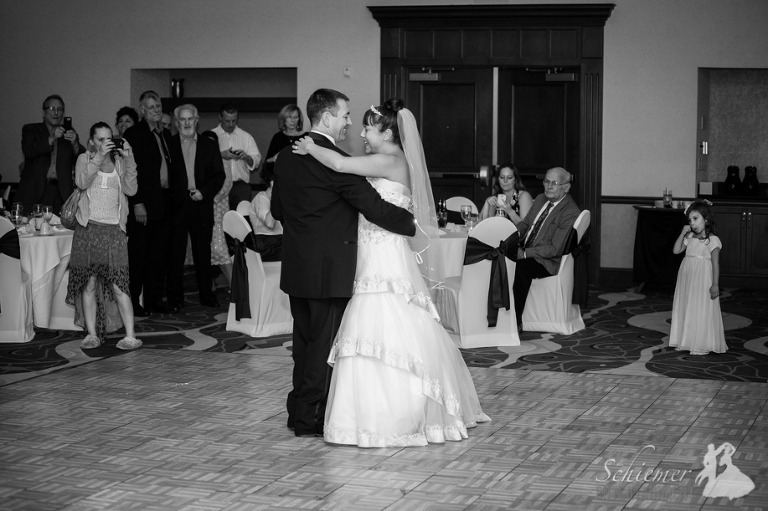 Heather and Brian’s first dance was sweet and romantic. After the guests enjoyed various treats including cookies, cake and a chocolate fountain, it was time to hit the dance floor. There was a tremendous amount of excitement from everyone when we announced we’d be staying late. Even with the bar closed, no one was ready to go home. Heather and Brian ended up with an awesome night that allowed them plenty of time to visit, have photos taken, and dance the night away. After a very full day, these smart newlyweds will rest for a few days before their Jamaican honeymoon. I always find myself talking with people about how much I love my job. The day I get to DJ a wedding doesn’t seem like something I have to do as much as something I get to do. After tons of preparation and planning, I look forward to watching all the hard work pay off. The results of a lot of hard work (by everyone involved) had tremendous results at the reception of Sarah Downing and Joe Gramc held at the Marriott Pittsburgh North in Cranberry, PA. In all the excitement, I almost missed this amazing detail on their cake cutting knife! Sarah and Joe could not have picked music more suited to their guests. Cocktail and dinner included a mix of both contemporary artists and classic crooners. 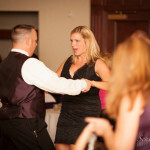 When it was time for dancing the guests hit the floor for music from every genre including top 40, oldies, rock, and disco. 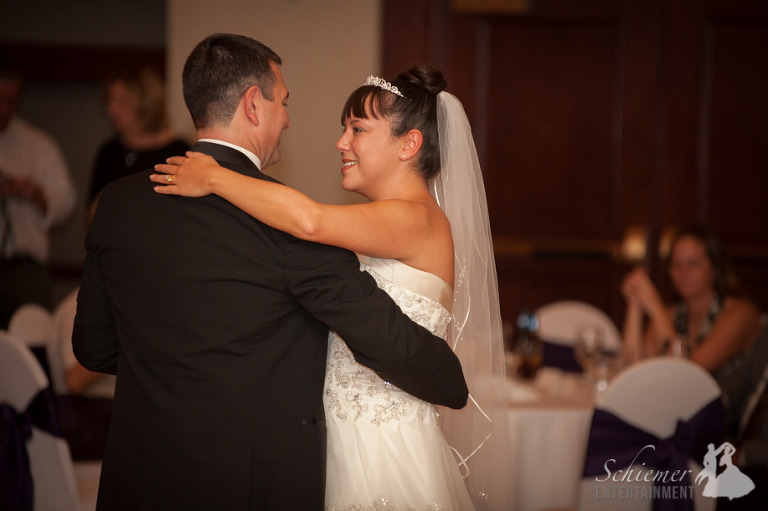 The first dance was so sweet as they danced to Unchained Melody by the Righteous Brothers. When it was time for dancing, the staff at the Marriott handed out 1600 glow necklaces to all the guests. It really helped set the party mood! 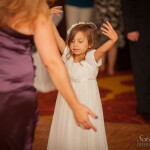 Sarah and Joe’s guests danced and partied like crazy. Later in the evening Sarah and Joe had arranged a late night snack of 400 McDonald’s hamburgers and cheeseburgers. They were a big hit for all the guests to re-energize and keep celebrating. After almost 3 hours of dancing it was time to say goodnight. The evening ended with a very full dance floor with everyone cheering for Sarah and Joe. It’s always such a thrill for me to see so many guests truly wrapped up in the celebration of such a great couple. These newlyweds are now headed off to Hawaii to get some much needed rest!